I'll admit a little secret, until recently I've never been too keen on scents. I'm as skeptical about fragrances as I am about foundations, not that I don't love smelly things but rather because I find that I have a very particular taste that is hard to satisfy. Not that there aren't many "good smelling" scents but I want ones that smell "stunning"! However, in the past year or so I have gained a new liking to perfumes and would like to share some of my collection with you all. 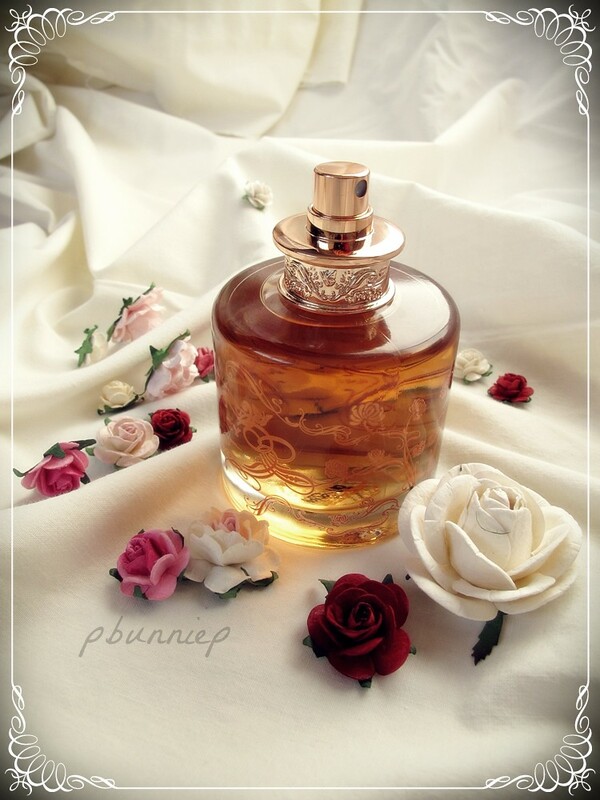 Granted, I still have much to learn in perfumery but I shall try my best at this! What's this lovely vintage looking bottle you ask? Top notes: sparkling pear, apricot nectar and red fruits. Middle notes: gardenia, jasmine, toasted almond and caramel. Base notes: creamy sandalwood, vanilla crème and amber crystals. 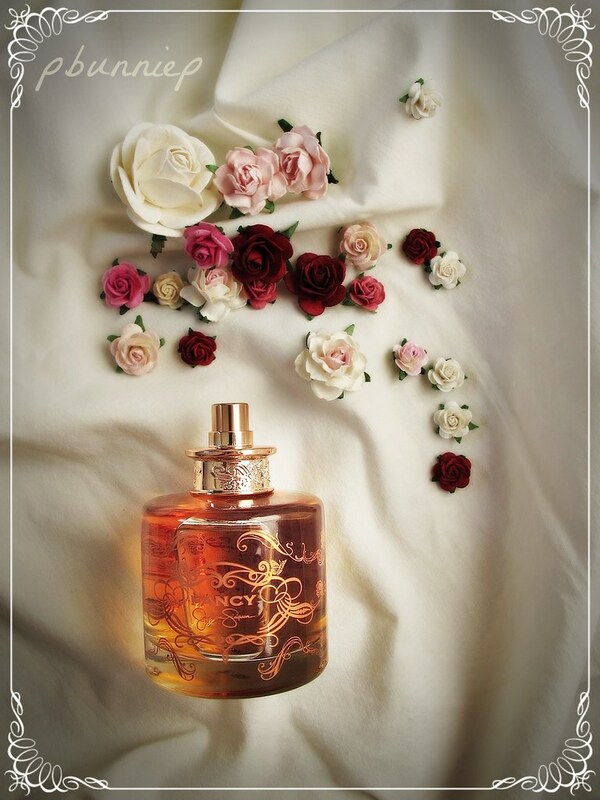 FANCY is one of the array of perfumes launched by Jessica Simpson, along with FANCY NIGHTS, I FANCY YOU and FANCY LOVE seem to tie together a romantic and feminine theme. As the first of the line, FANCY is meant to be a playful and sweet scent which dries down to a soft vanilla/sandalwood whisper on the skin. Normally, I stay away from caramels as they tend to be too nauseating for me yet I was greatly intrigued by the allure of sparkling pear, not to mention I'm a huge fan of gardenia and jasmine. I had no clue what "apricot nectar" smells like, the same goes for "amber crystal". It takes about a good 15 minutes or so for the initial shock of the perfume to wear off, either that or that my olfactory senses have been numbed enough with shock to get used to it. What I found now was a bit of (what I think is) "sparkling pear" peaking out, the strong undertone of caramel is still present and the sandalwood base note is strong as well but I wasn't able to locate the jasmine at all. Missing from the mix was also the vanilla reference though I suspect it has mixed in with the sandalwood, as those two ingredients are a classic pairing. By the 4-5 hour mark, the majority of the notes have melded into a singular creamy sandalwood with an ever so slight waft of gardenia every once in a while. While this perfume has been labeled as a "floral" scent, I'd personally put this into the deep floral/oriental category due to it's overwhelmingly heavy sandalwood and caramel base notes. Having said that, I think FANCY would be a more preferable choice for a grown up audience, though I'm sure Jessica Simpson is incredibly popular amongst the younger crowd...this is by no means a kiddy perfume. What I would have liked to see is a better arranged display of scents instead of being hit hard on the head with the middle and base notes. Personally, this was a rather disappointing scent and while I do have a soft spot for a few oriental scents, this is definitely not a perfume that I would repurchase again. 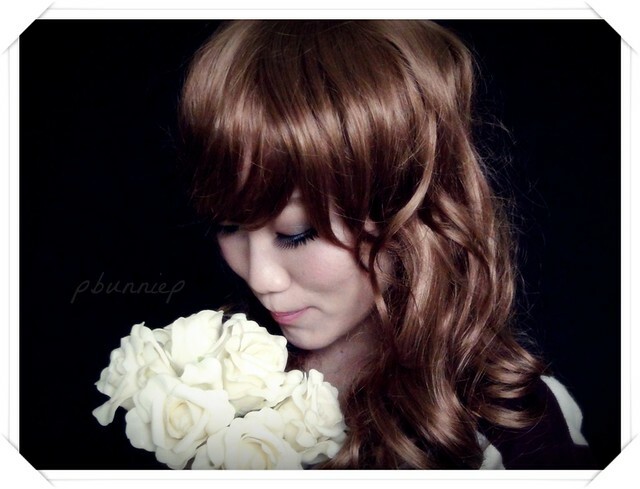 Have you tried any of the other variations such as Fancy Nights, I Fancy You or Fancy Love?